TV show dates: August 7, 2018 — present. From executive producer Grant Kahler and Nomad Entertainment, the Castaways TV show is like if Survivor and Lost had a reality TV series baby, complete with flashbacks to the subjects’ pre-island life. With the stated aim of “testing the human need for companionship under extreme circumstances,” Castaways follows real people who have been dropped on small Indonesian islands, with the challenge to survive. Other than their wits, the only tools at their disposal are the luggage that washed ashore, abandoned structures they find, and resources the Dharma Initiative production has scattered about. At different points after the castaways land, they each learn there are “others” like them out there, but they do not know who, how many, or where to find them. Their only options are to persevere until they are rescued, or quit the series. Will there be fish biscuits? Stay tuned. What do you think? 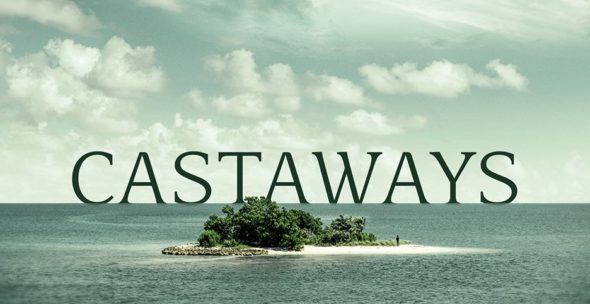 Do you like the Castaways TV series? Should this ABC TV show be cancelled or renewed for another season? WE WANT A REUNION OF THOSE FROM LAST SEASON!!!!!!!!!!!!!!!!! I am so disappointed that this show was not advertised better. I think the low ratings are a direct result. I didn’t know about this show until after it was over and watched the whole season on Hulu in 2 days. I would so badly want to be on the show. I love the concept and really hope it is brought back. If so….can I be on?? Kind of corny. We watched to the very end . But could not figure out what happened to the older lady who’s mom had dementia. I think her name was Terri or Tracey. Last we saw, she had returned to her camp & then what? Next thing you see is the 2 guys finding her deserted camp & taking all her stuff. Liked seeing what happened to the last survivors & was totally awed at Robbie’s loss of weight. Just wish they could have showed us everyone’s lives post Castaway show.